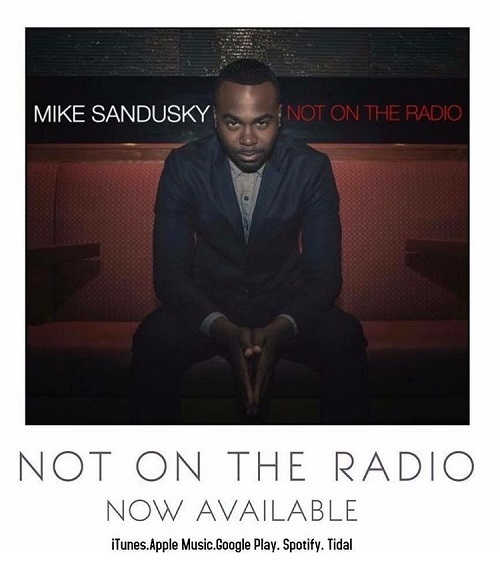 Mike Sandusky (@mikesandusky84) is paying homage to fellow underground artists on his 2017 EP “Not on the Radio”. Hailing from Romulus, Michigan-a city just outside Detroit, Mike was inspired by the realities of being an underground artist. “I chose the title “Not On The Radio” because I wanted to pay homage to all my phenomenal fellow underground artist who hit the open mic scene every week,but the only way you’ll hear them is if you show up because their music isn’t on the radio “, he says. The framework for the project began after the release of lead single “Perfect Imperfections”, for which he teamed up with producer Dinero. With some more solid production from Dinero, Mike Sandusky called on Detroit artist, Jharid to co-write three tracks and arrange the EP. The six track project has a song for everyone, and Sandusky believes everyone can relate to the stories he is sharing. Currently working on an LP to follow, he continues to make music that makes people feel good, and spread love the best way he knows how--through song.